Welcome to our exploration of the best grind and brew coffee makers available today. A fresh cup of coffee in the morning (or afternoon, or evening) is a thing of beauty. If you’re a coffee purist, you’ll know gloriousness that is freshly-ground coffee beans. But you might not be so fond of the process of grinding your own beans. It’s not the most strenuous of tasks, but it can be loud, fiddly, and simply adds another step in the coffee-making process. Thankfully, the grind and brew coffee makers take the work out of fresh coffee at home. Some of the best grind and brew coffee makers are affordable, simple, and produce a darn good cup of coffee. Others are pricier, flashier, and offer a completely modern at-home coffee experience. No matter your budget, there’s an option for you on our list of the best grind and brew coffee makers. Let’s get down to the good stuff, the best grind and brew coffee makers available today. We’ve selected this little (or rather, quite big) beauty from Breville as one of the best grind and brew coffee makers for medium-large budgets. It’s not exactly cheap, but the investment is totally worth it for what you receive. Firstly, the aesthetic is super sleek and would look fantastic on any countertop. The brushed silver outer is timeless and expensive-looking (which it is). It’s easy to use, easy to clean and comes with various options so you can get the cup of coffee you like the best, not someone else’s. Like all of the best grind and brew coffee makers, the Breville BES870XL, of course, has a coffee bean grinder. The grinder has a translucent outer sitting at the top of the machine so you can see how full the vessel is. You can adjust the grinder to suit your preference of grind size and dosage which is great as not everyone likes the same grind and coffee dosage. Speaking of dosage, this machine spits out a dosage between 19 and 22 grams of ground coffee into the filter. This is about 6 grams more than what other grind and brew coffee makers offer, which result in a weaker, less full-bodied coffee. Both pressure and temperature are carefully and automatically controlled by the Breville, which is part of the reason why we’ve popped it onto the list of the best grind and brew coffee makers. A balanced temperature really improves the flavor of the coffee, and pressure dictates the quality of the extraction (i.e. how smooth, creamy, and flavorful the coffee and crema are). The Breville BES870XL is one of the best grind and brew coffee makers because of the high-quality design features. The automatic regulators for temperature and pressure are great, as is the grinder which allows choice of dosage and size. It looks great from the outside and works hard from the inside to ensure a cafe-quality coffee. We would recommend this to serious coffee enthusiasts with a reasonably large budget. This option from Krups is one of the more affordable options for the best grind and brew coffee makers, but the low cost doesn’t mean it’s shabby. Quite the contrary, the Krups Grind and Brew Auto-Start is a compact, tidy machine which grinds coffee beans before making up to 10 cups of drip coffee. This isn’t an espresso machine, so you won’t be getting a shot of coffee complete with crema. It’s a drip machine so you’ll be enjoying a big cup of black coffee poured from a handled glass jug. Great for serving up to 10 people, or simply for people (like me) who love to sip on a huge mug of coffee over a morning. It’s one of the best grind and brew coffee makers for large quantities and ready-to-pour convenience. It’s easy to use as you don’t need to bother with milk frothers, dials, tampers, or any of the other apparatus other machines require. What’s awesome is that you can choose your grind size, (from fine to coarse), your quantity (from 2 to 10 cups), and your brew strength (mild, medium or strong). This gives you options without complications, as the control buttons are super simple and intuitive to use. We love that you can program this machine to brew your coffee at a set time, without having to be present to start the process. You could set it to brew just before you wake up in the morning so there’s always hot coffee to wake up to. You just have to make sure that there is ground coffee in the filter already, as the auto function doesn’t include the grinding process. Very deserving on our list of the best grind and brew coffee makers, as it’s easy to use, easy to clean, and offers lots of fresh coffee. Sounds good to me. The Krups Grind and Brew is one of the best grind and brew coffee makers for people who like to have a jug of brewed coffee ready and waiting, as opposed to making an espresso shot there and then. Great for people who prefer an Americano style coffee, (watery in a good way, and very generous in size). Affordable, compact, and user-friendly. The DeLonghi ESAM3300 is similar to the Breville BES870XL in price and aesthetic. A sophisticated silver outer with small control knobs and discreet buttons follows a pared-down design. Another candidate for the best grind and brew coffee maker for espresso coffee with foamy, frothy milk added to the feature list. 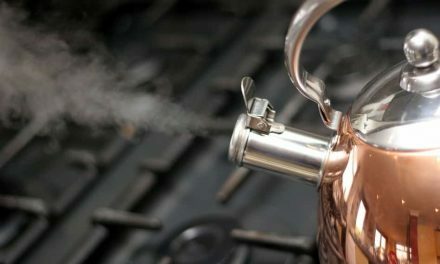 You can produce hot water or steam with the steamer, which means you can make Americanos, cappuccinos or lattes easily. To choose a single or a double espresso, you simply press the associated buttons (either the 1 cup or 2 cups symbol). There is a knob which you turn to choose how much coffee you want to grind at one time. You also have a knob with which you can adjust the volume of your espresso shot, from ½ an ounce to 8 ounces. So if you press the “double shot” button and twist the volume knob up to 8-ounces, you’re going to brew 16 ounces of coffee. If all this sounds a bit too much, it’s really not. It’s easy to use and quite intuitive so there’s barely any techy confusion going on at all, (which is good for people like me who have trouble with complicated gadgets). The DeLonghi ESAM3300 is a helpful creature. It features little lights which illuminate to tell you when the coffee reservoir is empty, when to empty the dregs box, and when you need to decalcify the machine. In our busy lives it’s too much to ask for us to remember this stuff ourselves, so we appreciate these helpful features! Another great little feature is the pre-ground coffee bypass. You can put pre-ground coffee grinds into the designated place if you want to skip the grinding process. Perhaps you have a particular blend you like and it only comes ground, or someone in your family prefers decaf. Either way, it’s handy. We think the DeLonghi ESAM3300 is a great machine, with great features to justify the price. It’s easy to use once you get used to it, offers great customizing options for each drink. What’s more, it’s easy to clean. It has a lovely, compact design with a sleek silver outer which would fit into any kitchen aesthetic. The price is up there, but it’s worth it for the quality of the machine and of the coffee you will be drinking from it. And when you think about it, the price is relative, as there are coffee makers out there which make the price of this one look like a pittance. We think it’s one of the best grind and brew coffee makers and it should have a spot on your shortlist. This is a very affordable drip coffee machine with a burr grinder and a 12-cup capacity. It has all of the features that lovers of big cups of coffee want: a programmable timer, a large capacity, and a choice of coffee strength. We think this is one of the very best grind and brew coffee makers for smaller budgets and a penchant for steaming mugs of brew. The machine is attractive and easy to use with just a few buttons to press to get the brewing started. It’s not for small cups of thick, crema-topped espresso, it’s for pouring a large mug of black or milk-dashed drip coffee. To choose coffee strength (mild, medium or strong), simply press the “strength control” button until you reach your desired strength, easy. There’s also a dedicated button to choose how many cups of coffee you want to brew, from 2 to 12 cups. One of the coolest features is a programmable timer so you can have coffee waiting in the morning, or whenever you have your regular cup. The “grind-off” function allows you to totally bypass the grinder and use pre-ground coffee if you wish. You can use paper filters if you like, but it does come with a gold-tone filter for letting sediment go through, (for a European style coffee with a little more graininess). The water reservoir comes with a charcoal filter for ensuring fresher, cleaner coffee water. If you don’t want to wait until the entire brew cycle has finished, you can remove the pitcher and pour a cup mid-brew. The only thing is that it doesn’t have an option to adjust the grind size, as it is pre-set to an automatic medium grind which Cuisinart considers to be the best size for the perfect cup of coffee. This might be a con for coffee enthusiasts with specific preferences, but for those who just want that hot caffeine, it shouldn’t be an issue. We think this is one of the best grind and brew coffee makers for drip coffee on a smaller budget. 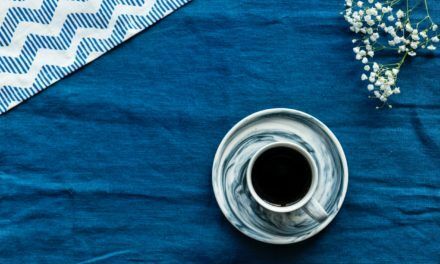 It doesn’t have all the bells and whistles of more expensive coffee makers, but do you really need them if all you want is a hot cup of drip coffee? Nope. In saying that, the features you do get are pretty impressive for the price, with a programmable timer, strength and quantity controls, and a burr grinder for the freshest coffee. We recommend this if you need to buy one of the best grind and brew coffee makers ASAP, but your budget is small, and you don’t need a flashy espresso machine. It would be great for students, first-home couples, and even small offices or workplaces with a low allowance for staffroom extras. We finish off the list with an expensive model for serious coffee drinkers. We consider this to be the winner of the best grind and brew coffee maker in the high-budget category. It’s a good-looking machine, a little different to some of the silver creations common to the coffee maker market. The Jura Impressa has a black plastic casing with stainless steel accents. It should go nicely in any style of kitchen. The Jura Impressa is surprisingly simple in the sense that it doesn’t have lots of dials and knobs which you may expect from an expensive coffee maker. The best grind and brew coffee makers don’t need to be full of flashy features to be impressive. In fact, the Jura Impressa only has two control knobs, one for the milk frother and one for everything else. The knob to the left handles all of the settings such as drink type, temperature, volume, and intensity from mild to extra strong. The knob has a central button for adjusting all of the features. For example, you turn the knob to find the mode and press the button to scroll through the options and to select them. The selections are displayed in red on a digital screen against the black background which looks super slick. The point is…it’s super easy to use and doesn’t require a lot of skill or know-how to operate. This is part of the reason why we think this is one of the best grind and brew coffee makers on the market. The two key options for your drink are “coffee” and “espresso”. “Coffee” gives you more water, (around 100ml), less heat, and a moderate strength. “Espresso” gives you less water (around 45ml), more strength and more heat. But you can adjust these to your liking. You can also adjust the height of the coffee spout to accommodate different sized cups, which is handy for switching between espresso shots and larger brews. The conical bean grinder has 6 grind settings from fine to coarse so you can customize your coffee the way you like it. But if you happen to want use pre-ground coffee one day, you can do so with the grinder bypass feature. The automatic milk frother is controlled by a single knob to the side and is designed to create superlight foam for great lattes and cappuccinos. For an espresso machine to be considered one of the best grind and brew coffee makers, we expect it to have a pretty decent milk frother! The cleaning process is great, as all you need to do to clean the grinder burr is pop a cleaning tablet into the pre-ground coffee slot and run the machine through a brew cycle. All of the other parts come out easily for a quick rinse. 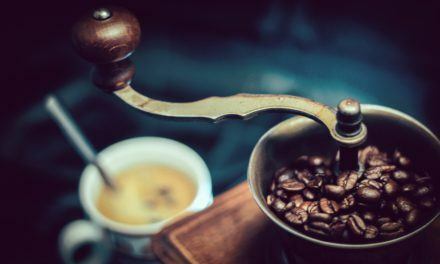 Ease of cleaning is an important feature when scouring for the best grind and brew coffee makers, as there’s no point in having a great cup of coffee when you have to spend silly amounts of time and effort to clean the machine it comes from. The Jura Impressa has an auto-off feature so the machine can switch off when it’s not needed, but it doesn’t have an auto-brew feature like some other machines. Another cool feature is that you can pause the coffee while it is pouring, perhaps if too much coffee is coming out and threatens to flood your cup. Similarly, you can adjust the amount while the coffee is brewing if you decide you want a more generous brew. The Jura Impressa is one of the best grind and brew coffee makers when it comes to simplicity, durability, and sophisticated design. Yes, it’s an investment which will take a good chunk out of your account, but it will be worth it if great coffee at home is high on your happiness list. It has a modern, sophisticated design with enough adjustable features to ensure everyone gets their desired cup of coffee. 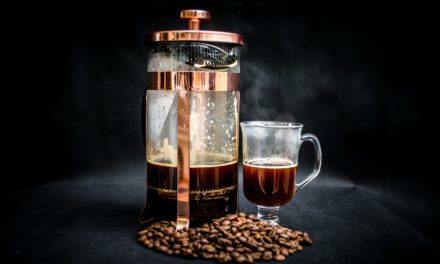 Now that we’ve come to the end of our reviews, it’s clear which features have to be present in order for a machine to make it to the top of the list of the best grind and brew coffee makers. It needs an attractive aesthetic, as it’s going to have a permanent home in your kitchen after all. It needs to have easy to use controls, or at least controls that are easy to get used to once learned. The best grind and brew coffee makers need to have at least a couple of customizable options such as grind size, strength, and volume. 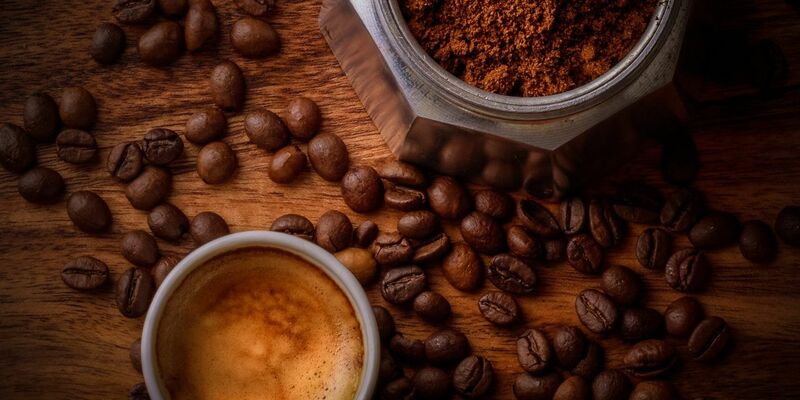 The best grind and brew coffee makers for espresso coffee must have a milk frother so you can create not only black coffee shots, but lattes and cappuccinos. The best grind and brew coffee makers for drip coffee must have a generous capacity (at least 10 cups please! ), and an auto-brew feature is always a welcome bonus. Do you like short, strong espresso shots or large cups of black filter coffee? Do you drink lattes or other milky drinks and therefore need a milk frother? Or is a milk frother an unnecessary feature for you? What kind of controls do you prefer? Buttons, dials, touch screens? Do you want an auto-brew feature for ready-to-pour coffee? Do you want a machine with different grind-size options or are you happy with a default grind size? Once you have answered these questions, you’ll have an idea of what machine is best for you. Some features may be a godsend to others, but totally superfluous to you. Go with your tastes and your budget and you’ll come out the other side with the best grind and brew coffee maker for you.